Save the date for the 6th Annual Report Card release on February 2nd at Bank of America! Mayor Walsh recognizes that college is too important to be limited to those who can afford it. That's why the City of Boston has committed to pay for up to three years of community college for low-income eligible students through its Tuition-Free Community College Plan. 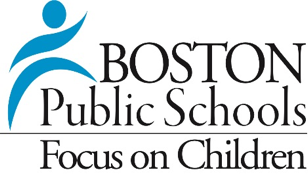 To learn more about college and determine whether the Tuition-Free Community College Plan could benefit you or constituents you work with, visit Boston Public School's official page on College Readiness. What does authentic engagement of Opportunity Youth really look like these days? This was one of the big questions at the Opportunity Youth Incentive Fund Grantee Convening hosted a few weeks ago by the Aspen Forum for Community Solutions. I attended the session on authentic youth engagement through the lens of Opportunity Youth United (OYU), a grassroots organization that began with a set of recommendations (created by the National Council of Young Leaders) that focus on increasing opportunities for young people.